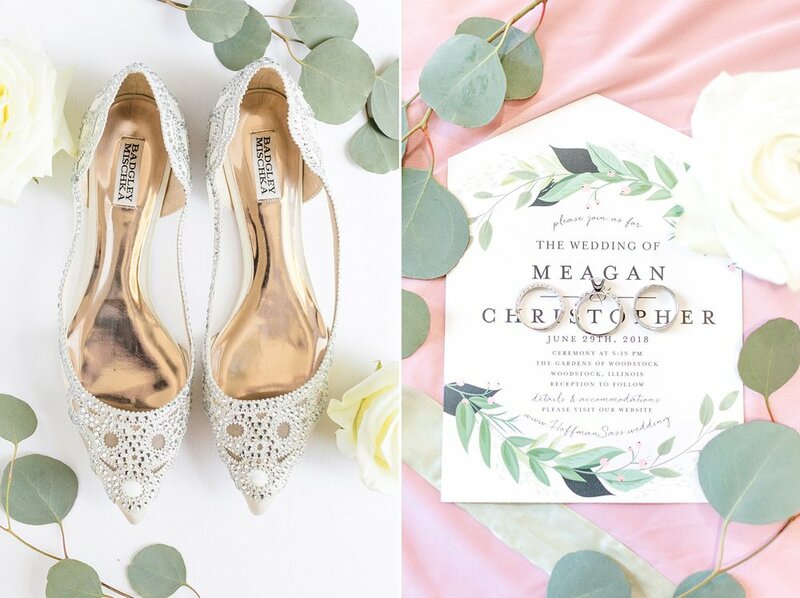 You have spent months and months planning and prepping for the biggest day of your life, and it’s almost HERE! To do lists are falling out of every notebook you own, the days on your countdown are getting smaller and smaller and you are just SO ready for it to finally arrive! Let me tell you something that might sound a bit overwhelming and scary. The morning of your wedding day truly sets the tone for the rest of the day and this part of the planning gets overlooked VERY often! You’re thinking, “We’re just getting hair and makeup done, I’m getting in my dress, and away we go! What’s the big deal?” Well, the morning of your wedding day IS in fact, a big deal. It is a whole event in itself! Think about it. Your ceremony might not be until 3, 4 or maybe even 5 in the late afternoon, that gives you a HUGE chunk of the day before anything is really starting! Your wedding day doesn’t really begin at your ceremony, it begins when you wake up! Why not use every minute to truly CELEBRATE and have the best day of your life! 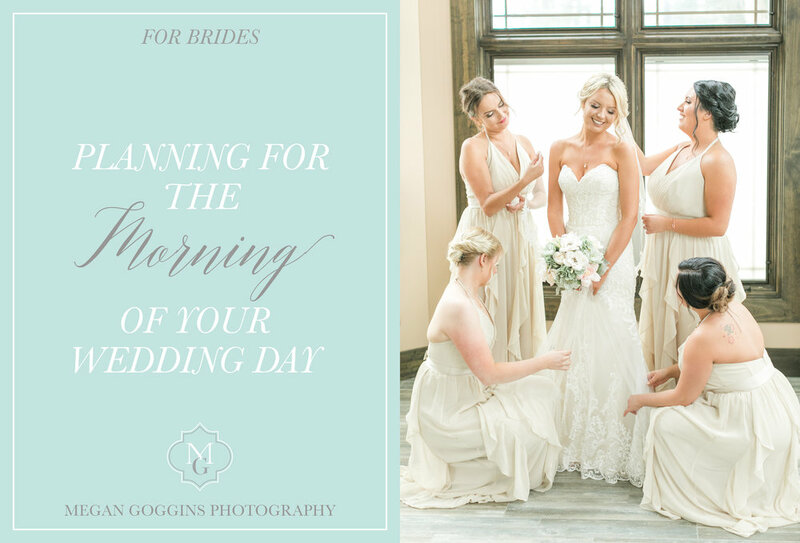 In this blog post I am going to give you tips and advice on preparing you for your wedding day morning and to make it as memorable as the rest of the day! Some of these tips will help make the morning go smoother and relieve some stress that might occur! I am also going to give lots of ideas you can do to make the whole morning experience enjoyable for your girls and most importantly, for you! 1. Set out your dress, veil, and accessories the night before. Doing this the night before will make you aware if you need to do any last minute steaming and by the next morning, all the wrinkles (if any) would be gone. You don’t want to wait until moments before your photographer arrives to take your dress out of the plastic dress bag and realize that there are wrinkles everywhere and your veil has been in a ball at the bottom of the bag this whole time! The night before I also would take some time and remove any store tags, plastic wrappers, stickers and labels from all of your accessories! This will also help you see that you have everything and aren’t missing anything! 2. Take a few minutes to be alone. Your wedding day is going to be FULL of emotions, excitement, craziness and I HIGHLY suggest taking some time after you wake up to just be alone. Soak in these quiet moments and realize that it is FINALLY your wedding day! If you are someone who journals, use this time to write down everything you are feeling so you can look back on that years from now! If you were planning on writing notes to your groom, parents, best friends, etc. maybe think about saving that for the actual morning of! (I would definitely plan for a good amount of time to do this so you aren’t rushed and can relax while you are doing this!) 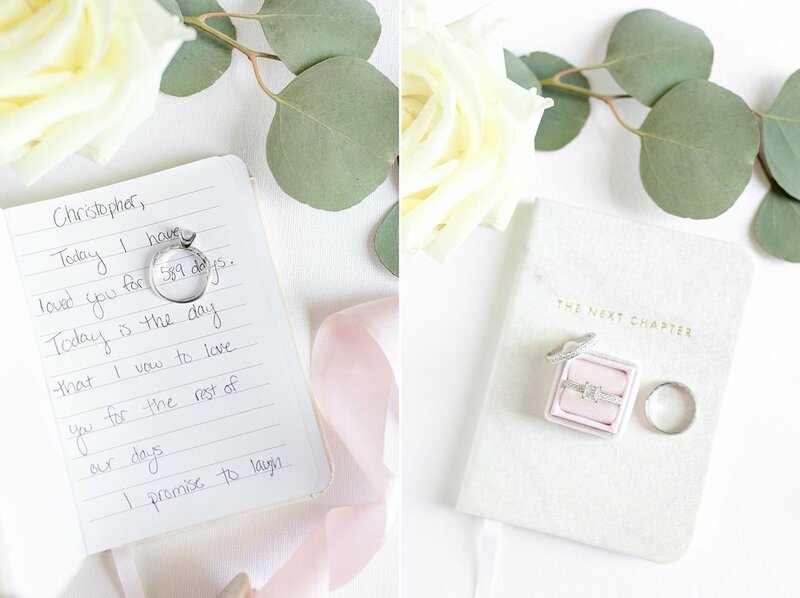 This will bring out the exact emotions and how you were feeling in that moment of your wedding day morning which would make those letters that much more special! This is something that I did on my own wedding day and I’m SO glad I did! Our hotel room suite had a door separating the living room area from the bedroom and I had the door closed while I stayed in bed alone and my girls were in the other room. My MOH had brought me Starbucks and a candle so I could just relax for a little while by myself! Once I was done writing all of my letters, I had my girls hand deliver all of my gifts to Brian’s room, my parents rooms, and Brian’s parents! I just remember sitting in the bed, looking out the window at times seeing the sun filled sky (it was supposed to rain all day this day, so seeing that sun that morning was SUCH a beautiful sight!) , drinking my coffee and pouring my thoughts onto paper. Also shedding a tear here and there! 3. Make a "Wedding Morning" Spotify playlist! Girl! You CAN’T go your wedding morning without a playlist of all your favorite songs to get you pumped up for the day ahead! Make this well in advance so when it’s time to get the day started, you are already prepared for what you want to listen to! They could be super girly, songs that make you want to DANCE, maybe a list of songs that you and your fiance love, or a mix of everything! Don’t forget to bring portable speakers AND batteries/chargers for it! But first, COFFEE! You will DEFINITELY want to enjoy your favorite coffee that morning. 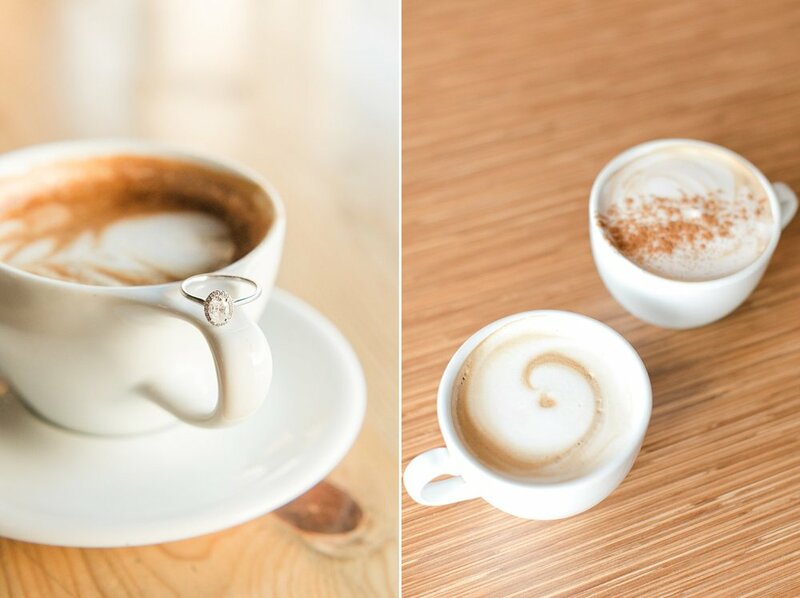 Delegate someone to go on that coffee run for you and your girls and have them write “Bride” on your cup! 5. Fill the space with calming scents, candles and smells. You know that saying of smells bring you back to certain moments? You have a special wedding perfume for that reason! Why not have a scent for the morning of! Have a few of the same candle burning or oils diffusing throughout the getting ready space! This will not only help with soothing and calming the atmosphere but you’ll have another special scent recorded into your memory! 6. Make sure you EAT! This is probably something that you’ve heard the most during wedding planning is the morning of, make sure you EAT SOMETHING! You might not even have an appetite because of the nerves and excitement but trust me, you need to eat something and drink lots of water that morning. The next time you eat might not be until 7 or 8 at night at your reception! Have fun with the morning brunch/snack menu! Have bowls of fresh fruit, a parfait bar, donuts, decorated cookies and pastries, pancake bites, mini sandwiches, anything you want! Just make sure there is enough for you and everyone that will be in that room with you to eat a good amount. Feed yourself, and feed your people! You’ll want to have something to sip on (besides lots of water!) the morning of! This is also a great opportunity to toast to all of your girls, and toast to the final hours of being a MISS! 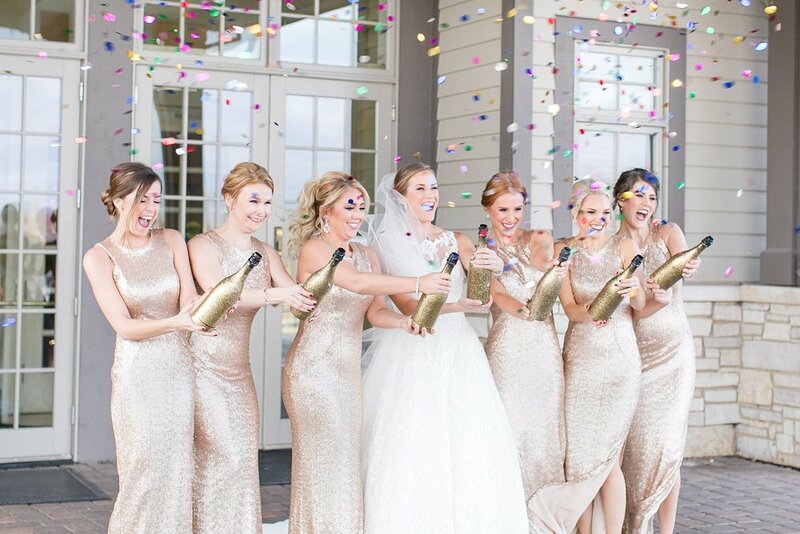 Make sure your photographer is present to get that epic champagne POP photo! 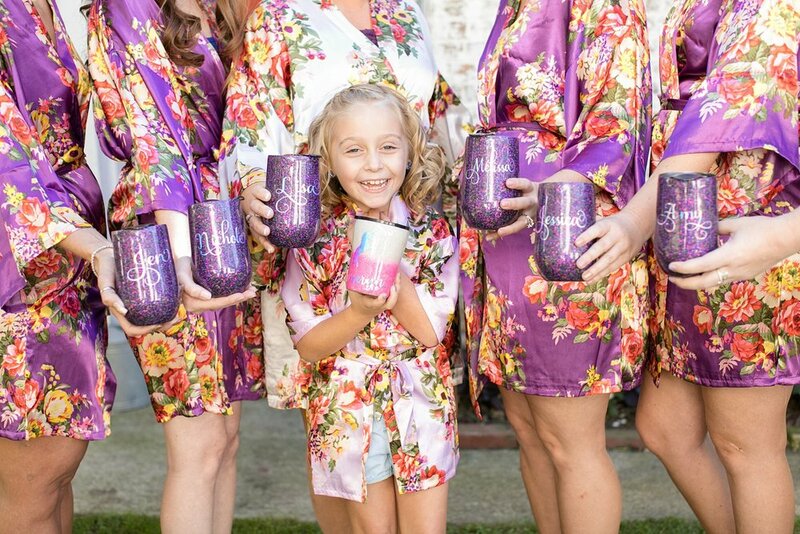 You can also get fun with this and gift your bridesmaids special glasses with their names painted on, and get cute straws to drink out of! 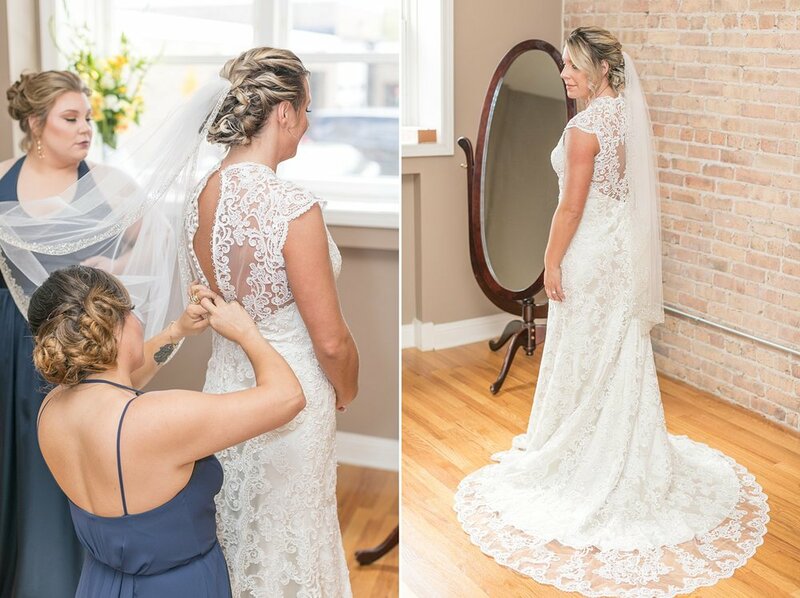 There are so many fun options for detail photos while you’re getting ready! 8. Get a cute "prep outfit" for yourself and your girls! 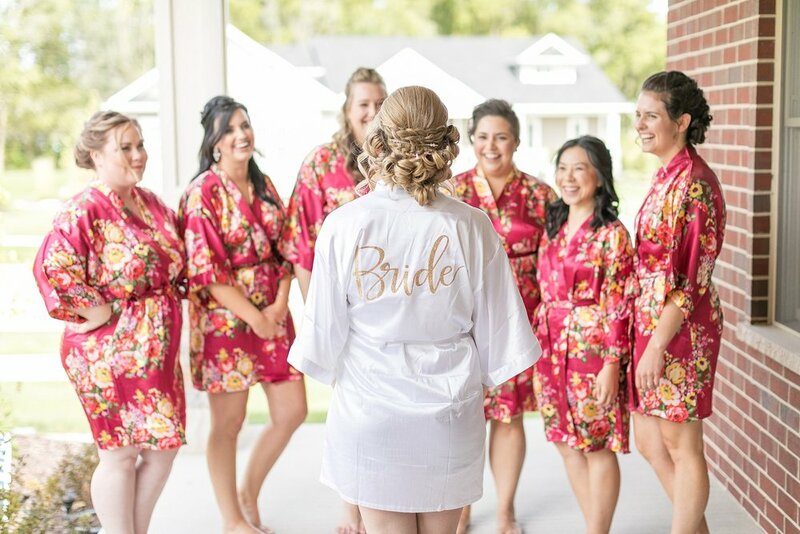 Having special robes, PJ’s or outfits for you and your girls will only make the morning that much more exciting when you’re all gathered around together getting ready! It also adds an extra touch to your photos! While your sittin’ back, shimmering with excitement, drinking bubbly, you will look even more bridal in a silky white robe! This could be a perfect gift for your bridesmaids as well! 9. Tell your florist to deliver your flowers to your getting ready space, not the ceremony. 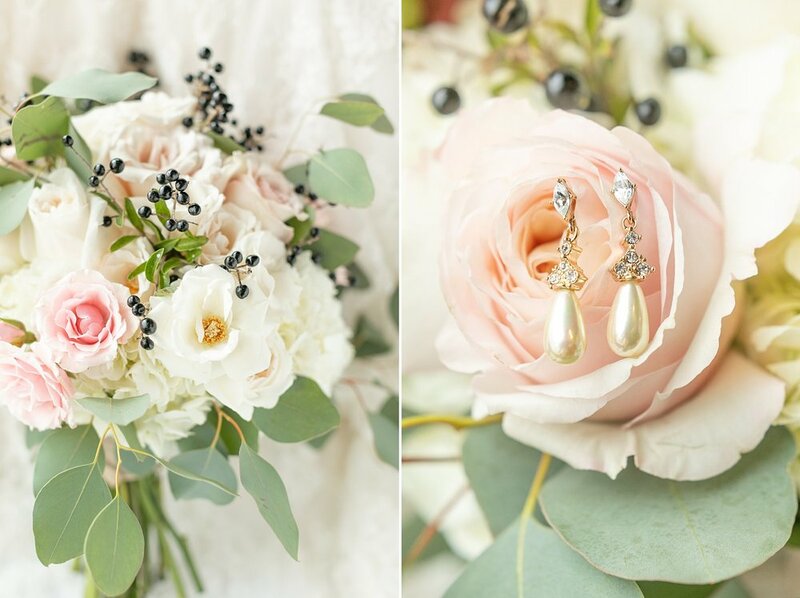 By having your florist bring all of your bouquets to your getting ready space instead of your ceremony location will give your photographer a chance to take photos of your bridal details with your bouquet! This will tie everything together! Also suggest to your florist if they could bring any extra blooms and greenery that wasn’t used in bouquets so it can be added to detail photos like ring and shoe shots! 10. Figure out who you want to be there in the room with you. The wedding morning can truly set the vibe for the rest of the day! If you are someone that likes quiet spaces and not a lot of people, maybe think about just having your maid of honor and your mom in the room with you. 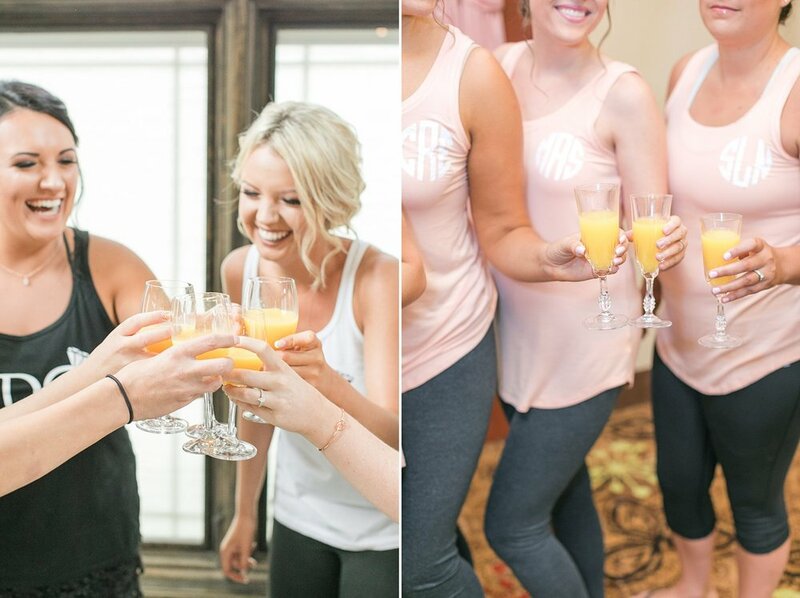 If you want all of your bridesmaids getting ready with you, invite them all! Just be sure to communicate well in advanced to the people that you want to be in the room, if they are getting dressed there or if they should arrive already dressed for the day, and what time to be there! This is the morning of your WEDDING and probably the last time you will be alone with all of your best friends for the rest of the day! Why not have a little fun and get creative with some fun photo op ideas! Big foil balloons that spell out BRIDE, confetti poppers, a balloon drop, bubbles, and so many other things are such a fun idea to play around with that morning! THINGS TO REMEMBER ABOUT THE LOCATION! 1. Make sure it's well lit with lots of natural light! When searching for your getting ready space, there are TONS of things that are important that you need to keep in mind. I would say the biggest thing you need to make sure you have in that space is LOTS of natural light and big windows! Not only is this important for your photographer, but your hair and makeup team will also need as much natural light as possible. 2. Big enough space for EVERYONE! You will realize very quickly the morning of your wedding that the space where you are getting ready at will fill up FAST! You have all of your bridesmaids, your parents will pop in now and again, your photographer and videographer are capturing the morning, your florist comes to deliver your flowers, your hair and makeup team are working on 3 girls at a time and see their workspace, your grandmother comes in to hug you and share a moment with you, and all of a sudden, you have a small village in your getting ready room! Make sure you have a big enough space for EVERYONE to move and breath! Small getting ready spaces often lead to the bride feeling overwhelmed and stressed that there is just not enough room. There are overnight bags and purses everywhere, water bottles, dress bags on the floor, and the last thing you want is to misplace your rings in all the mess. I often suggest either renting an Airbnb or finding someone's home that is close to your venue. This way you have an entire house to yourselves to spread everything out. 3. Neutral colors throughout the room. From a photographer's perspective, having your getting ready space filled with nothing but neutral colors will help with not having distractions in your photos. For wall colors, bright colors, reds, greens, and yellows can reflect back onto your skin and dress so choose a space that has shades of white, gray or creams! Keep an eye on the flooring as well. If there are carpets and rugs in the room, make sure they don’t have outdated and distracting patterns on them. The biggest thing that Brides often forget is the clean up after everyone is done getting ready. If you are staying in that room once the wedding is over, make sure you put someone in charge to tidy up before you leave for the day! The last thing you want when you get back from your wedding day and you’re still on cloud 9 is to come to a disaster of a room. If you are going to a different room, make sure you pack your bag and all of your belongings before you leave! I would suggest before you get in your dress to do this. 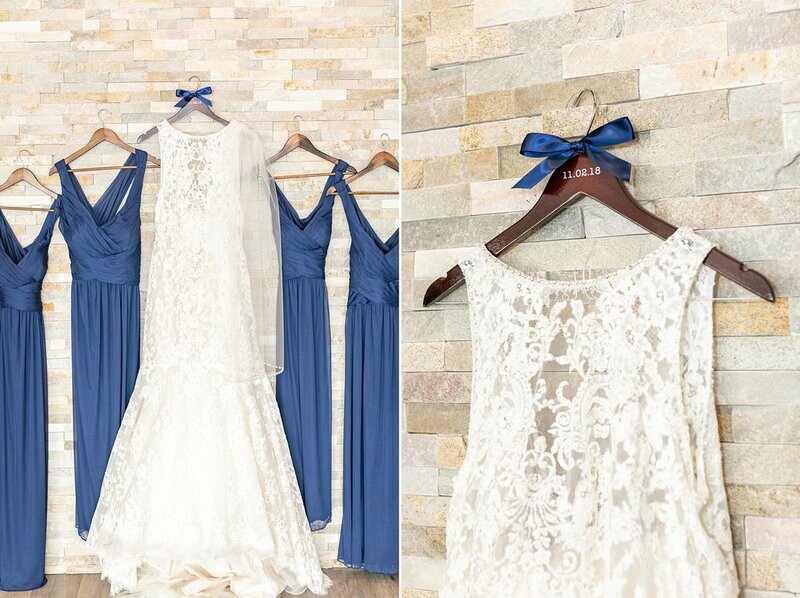 After you finished getting ready, you are in full force to go see your groom and get married! You do not want to be packing your stuff in your gown.